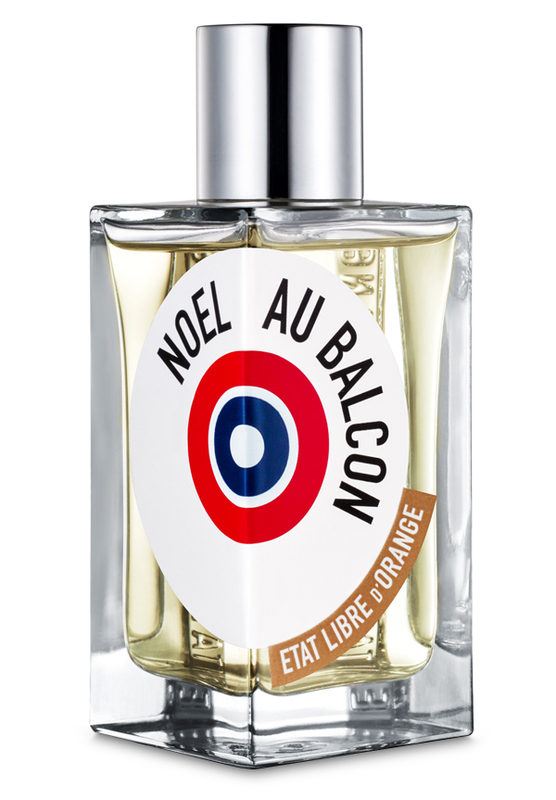 There are 17 reviews of Noël au Balcon. Orange, vanilla, honey, and apricot create a holiday, winter accord. Starts sweet then proceeds to become an amberfication of patchouli and musk, a smoky smolderized fragrance. I smell a faint animalic footprint underneath. A bit of old wood or twigs appear. Smells like candy or sweets again, later on the close skin. In the same vein as 5 o clock au gingembre or tea for two, but dripping with honey and a fairly strong fruity vibe that makes me prefer the other two. It's well done though, and those with more of a sweet tooth (nose?) than me will probably enjoy it. Christmas Balcony. Mildly nauseating opening of honeyed mulled wine. Dries down to a (still-honeyed) rift on Jasmin & Cigarettes. Not bad. Based on the company's ad copy, I was expecting a sexed up Ambre Narguile or Nuit de Noel. What I get instead reminds me way more of Angel than of any kind of Femme-inized gourmand. Not a bad thing necessarily, but still a pretty far cry from the hyperbolic promises of underpantied naughtiness. I do appreciate the initial blast of cinnamon, but it fights with the orange note in a way that doesn't read as mulled spiced wine so much as mall store candle. I don't know, maybe that's the point? The line seems to have a terrific amount of fun playing with perfume conventions, and the few ELdOs I have smelled are all at least well made. But as a lover of big bad skanky orientals, I read this as rather thin. Oh wow – this is just gorgeous! Juicy, fresh citrus drizzled with honey, gentle wafts of vanilla and musk, with cinnamon and patchouli peeping out from time to time. This is definitely a scent I’d describe as sparkling – fresh, feminine, sweet but not too sweet. And, wonder of wonders, my husband liked it! I’ve been asking him to have a sniff all of the scents I’ve been sampling, and initially he wasn’t impressed, but about an hour later he walked past me, then came back and started sniffing and said I smelt lovely. I kept on getting beautiful wafts of it through the day. Sillage is good, as is longevity – I could still smell it, although much softer, eight hours later. Definitely FBW, and definitely on my wish-list! There are no member images of Noël au Balcon yet. Why not be the first?